A PDF, or Portable Document Format, file is usually smaller and self-contained. It is a format that includes the document, text, images and vector graphics. If a PDF is written correctly, there is no reason to send the “collected” files, and the potential issues that come with them are eliminated. The following link will assist in this educational process. Quality PDFs can be sent from the major design programs—QuarkXPress® and InDesign®. Other programs provide opportunities to create PDFs too. Check the program's online help guide to establish if the program has the ability to create high-end PDFs. * For version CS3 and prior: Please submit the native file, all supporting fonts and images. 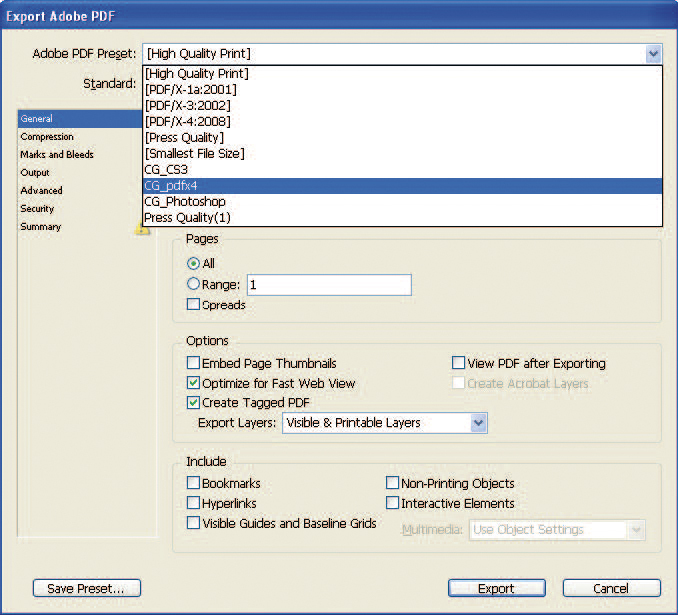 Corporate Graphics will open your file using InDesign CCS and write a PDF. Please request a proof to make sure all fonts, images and text are as intended. 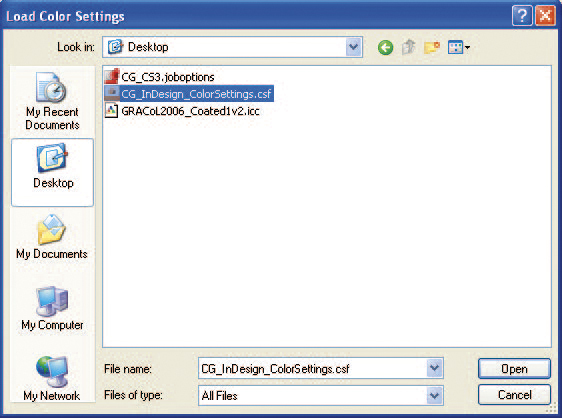 A. Download output styles and color settings below. B. Unzipped downloaded files and move the files into the following locations on your MAC. A. Open InDesign CS4, CS5, CS6 or CC. Be sure all documents are closed. Make sure that all instructions in steps 1-2 have been followed before writing a PDF. B. Under File >> Export. A. Open Photoshop. Be sure all documents are closed. * For versions CS3 and prior: Please submit the native files, all supporting fonts and images. 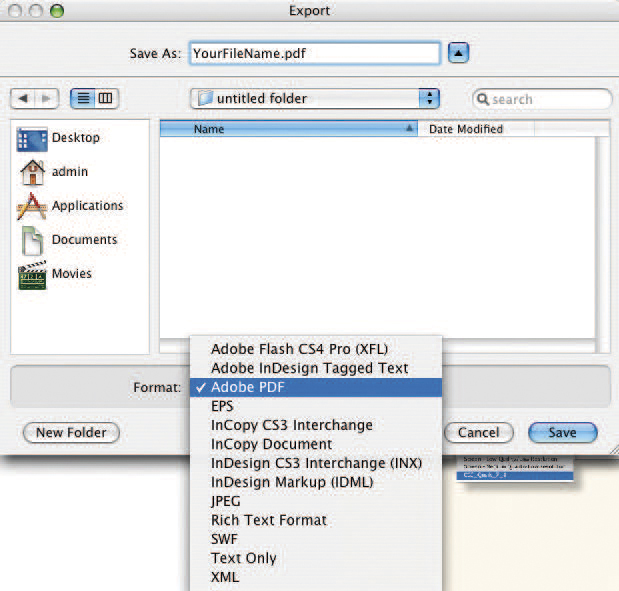 Corporate Graphics will open your file using InDesign CCS and write a PDF. Please request a proof to make sure all fonts, images and text are as indicated. B. Unzipped downloaded files. Right click on the GRACol2006_Coated1v2.icc color profile. Choose Install Profile. 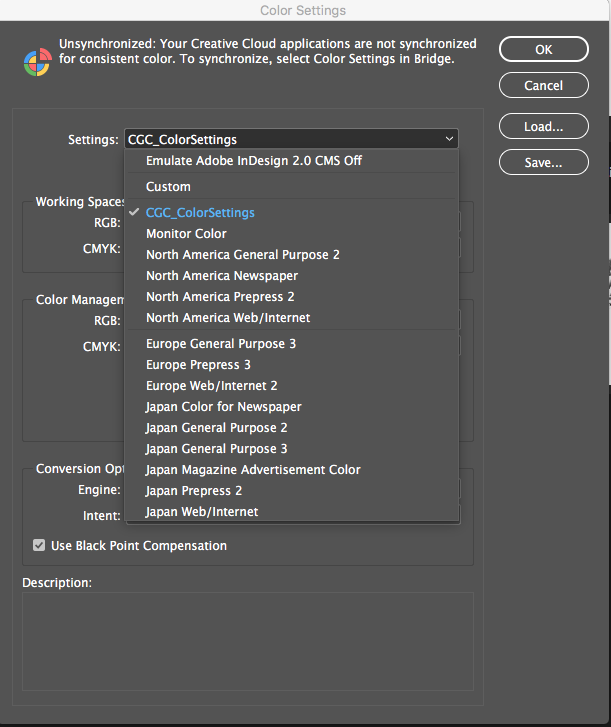 Please note: If you are using more than one Adobe program to create your files, the color profile only needs to be loaded one time. A. Open InDesign. Be sure all documents are closed. Make sure that all instructions in Steps 1-4 have been followed before writing a PDF. A. Keep file as layers. Do NOT Flatten. This will help hold the integrity of any type created in photoshop. B. Under File>>Save As>>Name your file. C. Under Format, select Photoshop PDF. Make sure Embed Color Profile is checked.